760. קוּם הַמְּנוֹרָה הַקְּדוֹשָׁה, אַתָּה וְרַבִּי אֶלְעָזָר בִּנְךָ, וְרַבִּי אַבָּא, וְרַבִּי יְהוּדָה, וְרַבִּי יוֹסֵי, וְרַבִּי חִיָּיא, וְרַבִּי יוּדָאִי, לְתַקֵּן מַתָּנָה לַמֶּלֶךְ, וּלְהַקְרִיב כָּל אֵיבָרִים, שֶׁהֵם יִשְׂרָאֵל, קָרְבָּנוֹת לְהַקָּדוֹשׁ בָּרוּךְ הוּא, זֶה שֶׁנִּקְרָא נְשָׁמָה שֶׁל הָאֵיבָרִים, שְׁכִינָה הַקְּדוֹשָׁה, אֵשׁ שֶׁל גָּבוֹהַּ. שֶׁאָחוּז בְּעֵצִים שֶׁנִּקְרָאִים עֲצֵי הָעוֹלָה, שֶׁהֵם עֵץ הַחַיִּים וְעֵץ הַדַּעַת טוֹב וָרָע. עֲצֵי הַקֹּדֶשׁ נִקְרָאִים אֵלּוּ בַּעֲלֵי תוֹרָה, שֶׁמִּתְאַחֶדֶת בָּהֶם הַתּוֹרָה, שֶׁנֶּאֱמַר בָּהּ (ירמיה כג) הֲלֹא כֹה דְבָרִי כָּאֵשׁ נְאֻם ה’. 761. וְנֶאֱמַר בָּהּ עֹלָה לַה’, קָרְבָּן לַה’, אִשֶּׁה לַה’. וְנֶאֱמַר אֶת קָרְבָּנִי לַחְמִי לְאִשַּׁי. וַהֲרֵי כָּתוּב שֶׁאֵין לְהַקְרִיב קָרְבָּן אֶלָּא לְשֵׁם ה’, מַהוּ אֶת קָרְבָּנִי לַחְמִי לְאִשַּׁי? אֶלָּא הַדֶּרֶךְ, שֶׁמִּי שֶׁמַּקְרִיב דּוֹרוֹן לְהַקְרִיב אוֹתוֹ לַמֶּלֶךְ וְאַחַר כָּךְ הוּא מְחַלֵּק אוֹתוֹ לְמִי שֶׁרוֹצֶה, אַף כָּךְ יִשְׂרָאֵל מַקְרִיבִים תּוֹרָה לְהַקָּדוֹשׁ בָּרוּךְ הוּא, שֶׁהוּא לַחְמוֹ, וְהוּא יֵינוֹ, וְהוּא בְּשָׂרוֹ, וְנֶאֱמַר בָּהּ (בראשית ב) עֶצֶם מֵעֲצָמַי וּבָשָׂר מִבְּשָׂרִי. בְּשַׂר קֹדֶשׁ, שֶׁפֵּרְשׁוּ עָלֶיהָ בַּעֲלֵי הַמִּשְׁנָה, בְּבָשָׂר הַיּוֹרֵד מִן הַשָּׁמַיִם אָנוּ עֲסוּקִים. The ‘Faithful Shepherd’, Moses, asks Rabbi Shimon and his son, Rabbi Elazar, to stand, meaning elevate themselves, and bring a ‘gift’ to the King, the Holy One, Bless be He. When the Zohar uses ‘The Holy One, Bless be He’, the reference is to the Endless Light. The Holy name YHVH is a ‘representative’ of the Endless. All of God’s names and Sefirot are vessels for the Endless light. It is important to remember that. We DO NOT pray to the Sefirah of Chessed or Keter or any other one. We pray to the Endless Light to bring different lights into our lives using the different vessels. Praying to a specific Sefira is idol worshiping. We use the name YHVH to draw the Light of the Endless, the Creator, Bless be He. When the leader of the prayer says the name YHVH (Adonai) during blessings we say “ברוך הוא וברוך שמו” “Baruch Hu U’ Baruch Shemo”, Translated to “Bless be He and bless be his name”. ‘He’ is the Endless light and his name is YHVH. We ask to connect the Endless with the name to draw the Light when the blessing is completed and we answer אמן ‘Amen’. The meditation of Amen is יאהדונהי that is the combination of the upper and lower names. The sacrifices and offerings are described as “עֹלָה רֵיחַ נִיחֹחַ, אִשֶּׁה לַיהוָה” “’Elevated’ pleasant fragrance burnt unto YHVH”. When Moses asked Rabbi Shimon to bring ‘gift’ to the Holy One Bless be He, he was referring to the souls of Israelites. They are ‘members’ and limbs of the Shechina. When the ‘fire’ of the Torah spreads through the parts they are considered עֲצֵי הָעוֹלָה, meaning woods of the sacrifice but it also means ‘trees of the ‘elevated’. The Trees are the Tree of Life and the Tree of Knowledge Good and Bad. With the study of the deep levels of the Torah through the study or Rabbi Shimon’s teaching we connect to the good side of the Tree of Knowledge and with that to the Tree of Life. The sacred words of the Torah and Rabbi Shimon are like the Holy fire that elevates the sacrifice and opens channels of Light to the lower levels. 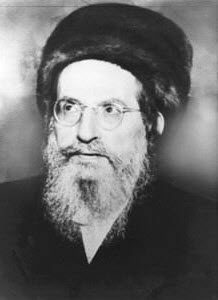 The Light of the Torah of light of Rabbi Shimon Bar Yochai (The Zohar ).